Over the last couple of months I have significantly reduced the amount of makeup that I own and I've stopped purchasing lots of new makeup (except for a few recent slip ups!) the way I used to. And instead of saving money, which was part of the reason to stop spending so recklessly, I've been buying lots and lots of skincare products to fill that void. I've always enjoyed skincare and even more nowadays given that I know a lot more about it which is why I'm keen to try so many new things. So I thought it would be cool to do a quick run down of all the new things I've been purchasing over the last few months including a couple of exciting things I've been sent to try out. One of my favourite purchases comes from Grown Alchemist which is a brand renowned for their comittment to using only the best organic natural ingredients to produce a line of skincare that is hard to fault. Grown Alchemist Gentle Gel Melting Cleanser is a wonderfully gentle cleanser perfect for mornings or as a second cleanse. It removes all dirt while keeping the face feeling hydrated and fresh. Grown Alchemist Balancing Toner - Rose, Ginseng & Chamomile is one of those refreshing toners that I yearn to use all day. I love how soft this makes my skin and the delicate scent is so addictive. I've been so curious about this little tool and I couldn't be more grateful to get the chance to try it out for myself. 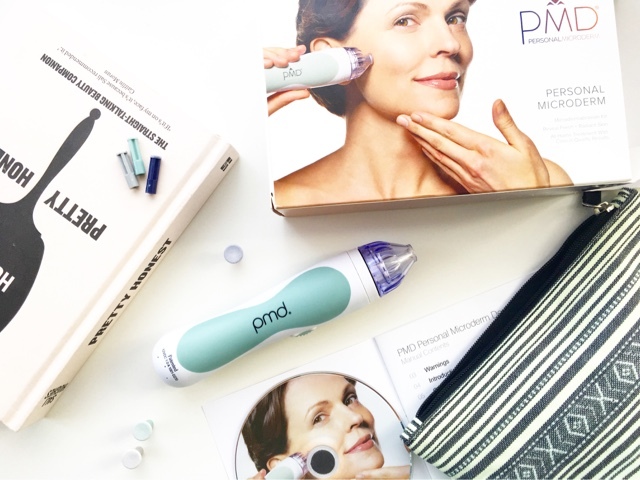 The device combines a buffing disc with gentle suction to provide an at-home microdermabrasion experience, designed to reveal bright, glowing, healthier looking skin with regular use. I was rather anxious about how harsh it would be but its actually really gentle and once you get a hang of the technique, its simple and relatively quick to use. It comes with different coloured discs depending on the sensitivity of your skin. I'm just about ready to break away from the training disc so hopefully I should be seeing some results in the coming weeks. Even though you need to be a little more wary with the use of acids and sunscreen I feel like this tool is a must for anyone looking to tackle any number of skin concerns. I've wanted to try Sukin Skincare for a while now so when I saw this oil balancing range at TK Maxx, I jumped right to it. 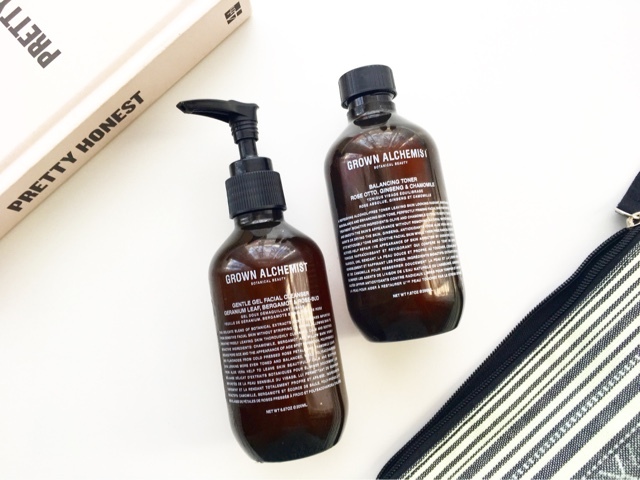 This affordable brand uses only natural ingredients and avoids any harsh chemicals. My personal favourite is Sukin Oil Balancing + Charcoal Purifying Gel Cleanser which removes all grease and grime without leaving my skin stripped. Sukin Oil Balancing Clarifying Facial Tonic is a really gentle way to restore the skin after cleansing and prepare it for any serums or oils. I am not a huge fan of the moisturiser which doesn't seem to absorb into the skin and doesn't really keep my skin matte for long at all. 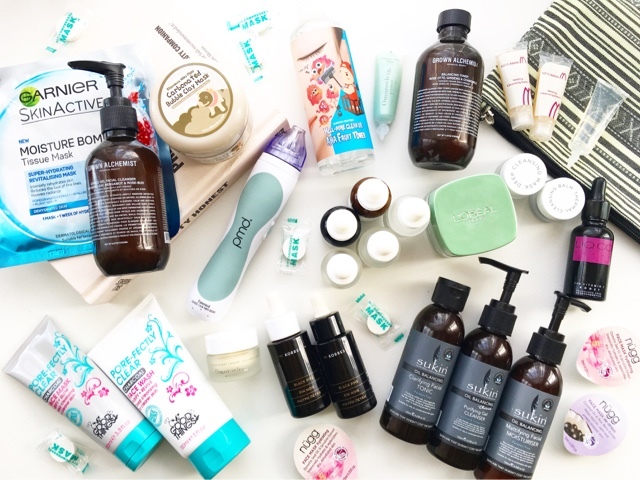 It's no secret that I'm a huge fan of Good Things Beauty which is one of the best affordable skincare brands out there. 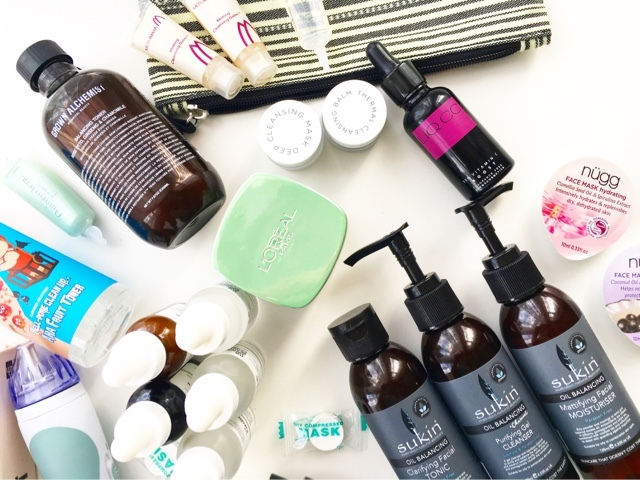 Prizing themselves on the exclusion of parabens, sulphates and only using 'Good Things' to produce their products, they've recently released a new line aimed at oily, blemish-prone skin. Good Things Pore-Fectly Clear Charcoal Face Wash | £4.99 contains charcoal powder to absorb excess oils and is an extremely gentle gel cleanser that I'm enjoying using in the morning or as a second cleanse. Good Things Pore-Fectly Clear Charcoal Face Mask | £5.99 is a great budget friendly charcoal mask that helps draw out impurities and unclog the pores. Like some of the other Good Things products this is heavily scented but what I love is that the mask is easy to remove. 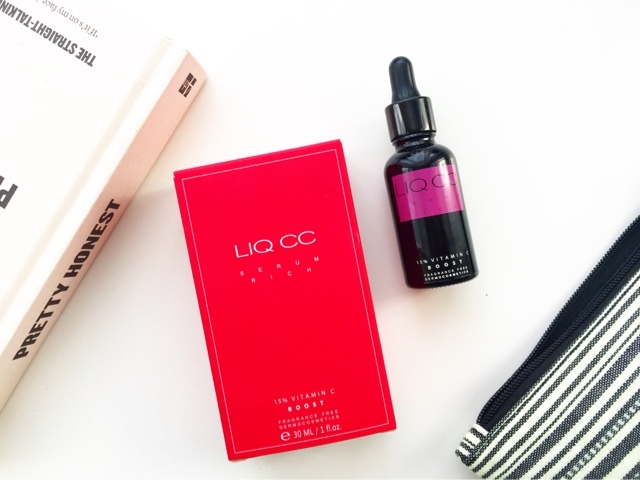 I was sent this fabulous serum to try by LIQ C, which is a newer brand owned by a pharmacist and committed to no nonsense effective skincare products. It contains 15% Vitamin C and Vitamin E and is aimed at dry/dehydrated skin. I have used this on and off for 2 months now and I really like it. It has a silky texture that absorbs into the skin right away and although it smells a little strange, the lower pH means my skin continues to feel hydrated. I can't say how effective it is in terms of anti-ageing as I don't use it consistently and the signs of ageing aren't that obvious on me right now, but it is a great serum for added hydration and making my skin appear brighter. It seems like every few weeks a new Korean skincare trend hits the headlines and when I first saw the bubble mask videos appearing on Instagram, I knew I wanted a piece of that cute clay action. The mask has a gel texture and smells lovely. I love that it comes with a little spatula making application a little easier and less messy. After a few moments on the skin it starts bubbling and expanding and after a full 15 mins I found myself looking like a cute, fluffy grey CareBear ;) Strangely though, the bubbles aren't fluffy and don't dissipate when you touch them as I assumed. They're still sticky and paste-like. It's a very strange phenomenon and what lets this mask down is the ordeal it is to wash off. Even when using a warm damp flannel, its still a mission (and messy). Bottled and boxed in the quirkiest packaging ever, this toner contains lactic acid, niacinamide, a whole host of fruit extracts and a combination of oils. The ingredients are super promising to make this an ideal exfoliating toner for evening out skin tone, brightening the complexion and keeping the pores clear. I've only used this once so far and although the scent was a little strong (typical acid-y scent) we got along just fine with no adverse reactions. 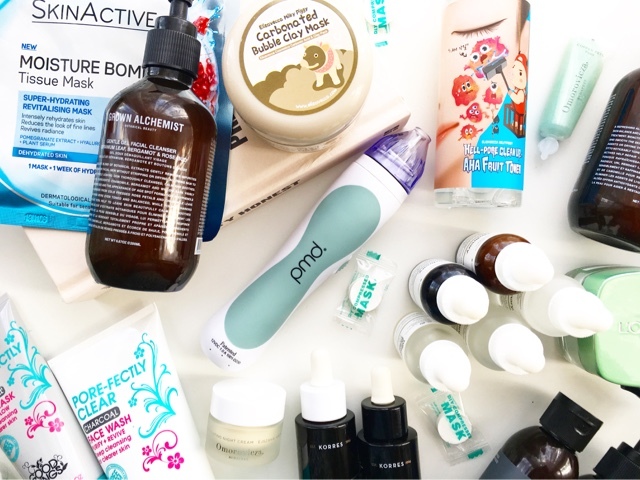 There was a massive skincare launch last month that has left some serious questions on the minds of anyone who invests any amount into their skincare, namely: How are these so affordable? 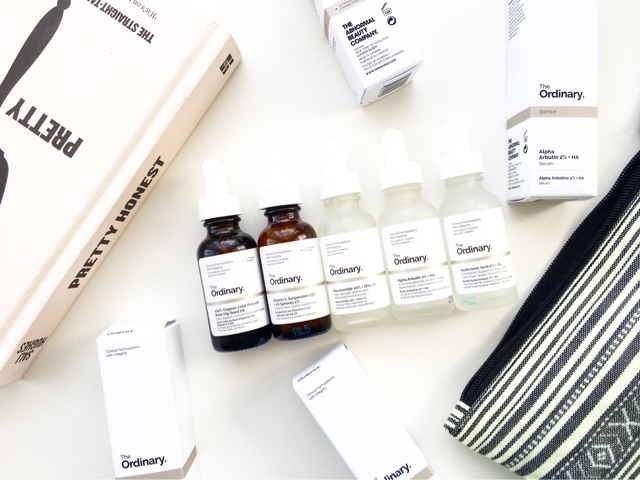 Under the umbrella of Deciem, The Ordinary offers a whole range of serious skincare products at a price point that is hard to believe. 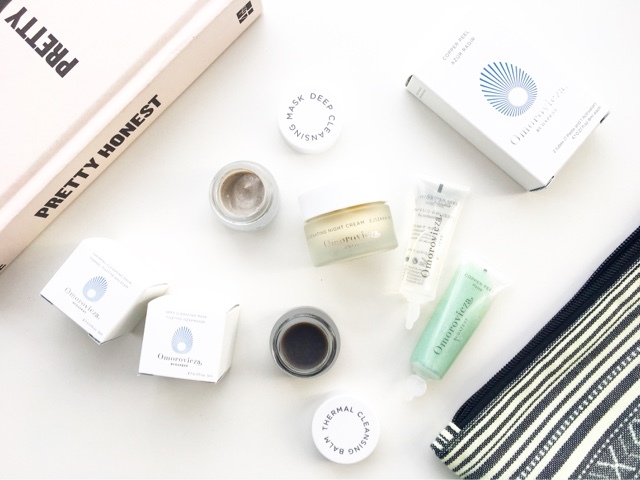 Usually products containing retinoids and such are priced very highly but this brand is seeking to tip the scales on everything we currently know and understand about the skincare industry. Currently I am using The Ordinary Alpha Arbutin 2% | £7 (targets: hyperpigmentation & dark spots) mixed with a few drops of The Ordinary Niacinamide 10% + Zinc 1% | £5 (regulates sebum, minimises pores) in the morning. Both of these are rich gels and provide a hydrating base for my day time moisturiser. I use 1-2 drops of The Ordinary Vitamin C Suspension 23% + HA Spheres 2% | £4.90 (targets: uneven tone, signs of ageing) in the evening which is a white creamy serum that feels powdery when applied. Its a different texture to anything else I've tried and caused serious irritation when I first tried it and applied too much. I can't say I've noticed any significant results with any of these but it is still very early on. It does feel good knowing that I haven't broken the bank to try these wonderful ingredients though, so even if they aren't effective, I won't feel terrible about it. I also got The Ordinary 100% Organic Cold-Pressed Rose Hip Seed Oil | £9 and The Ordinary Hyaluronic Acid 2% | £5.90 which I will be putting to the test in the winter when my skin is severely dehyrated. 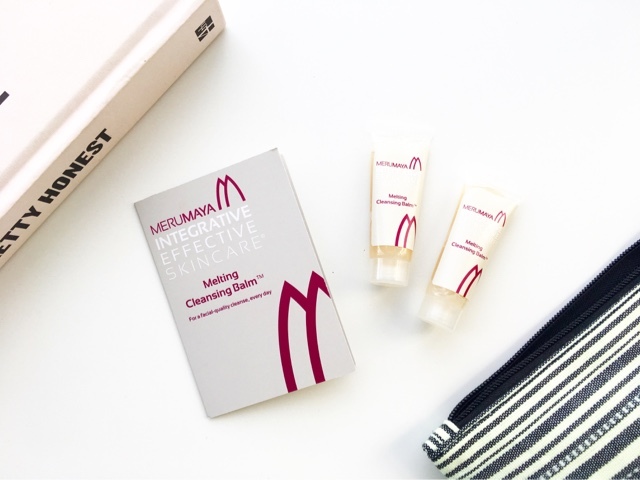 The lovely team at Merumaya were kind enough to send me samples of their infamous Melting Cleansing Balm* | £16.50 which I am still so touched about. And I have to say, it could very well be one of the best cleansing balms I've tried. It smells incredible and melts off everything beautifully. It leaves my skin soft and hydrated and I can't wait to order a full size of it. Another hyped up new release was the L'Oreal Purity Clay Masks which are available in 3 formulas - brightening, mattifying and clarifying. This was the only one available at my local Boots store at the time and now I'm kind of glad I didn't commit to all 3. Its a good mask in that it smells nice and clears out the pores. My issue with it is that it's nothing special and doesn't wow me in any way. Masks are something to indulge in but I feel like I'll be using the rest of this up just to make use of it, not because my skin needs this mask. 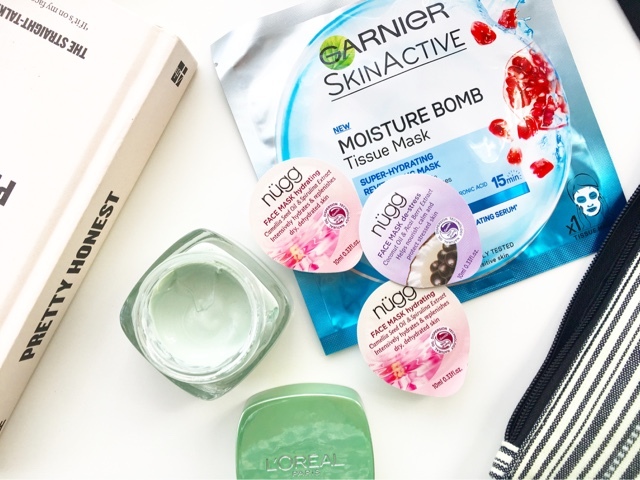 I am so impressed with Garnier Moisture Bomb Tissue Mask | £1.49 which I really would've appreciated being launched in the summer when we were in the midst of a heat wave as these masks are so cooling. They're cheap and cheerful and really deliver a burst of hydration to the skin. I will be picking up some more soon, despite the fact that they don't fit my face as well as I'd like. A whole new world has been opened up for me in the form of these Compressed DIY Sheet Masks x 30 | £3.50. Now I can create my own bespoke sheet masks using any combination of ingredients, serums, oils and essences. It will be a great way for me to use up a few products that I haven't enjoyed applying to my face. Another mask offering comes in the form of little quirky pots that could be mistaken for yoghurt or some kind of condiment. 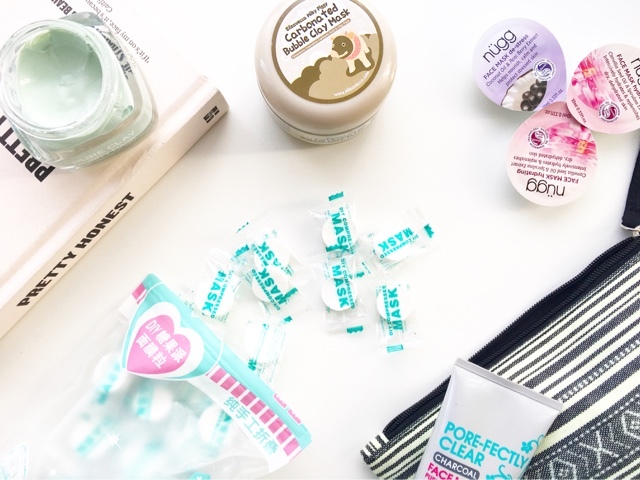 Nugg Beauty Face Masks* are cute little handy pots containing one of the many varieties of masks the brand has to offer. They contain no parabens, no mineral oils and are free of any synthetic fragrances or colours. I find these to be very hydrating and a great way to inject some moisture back into the skin especially after a full on cleansing ritual. I love that the pots are so travel friendly making these the perfect travel masks. Omorovicza is a brand I've always been curious to try especially because one of my favourite bloggers - Beautylymin - is a huge fan of their products and always features them in her skincare routines and blog posts. 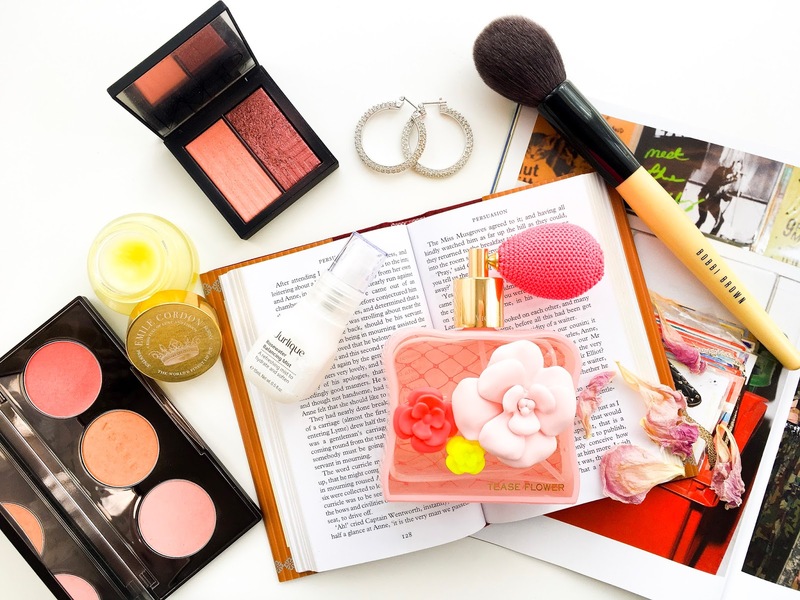 I recently signed up to Love Me Beauty which is a monthly beauty box where you can select which products you want to include using their credit currency. I chose all these samplers and I am so excited to try them out, especially the mask. 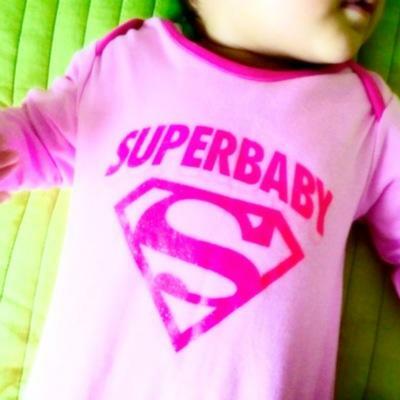 The little free pouch is also super handy and cute. 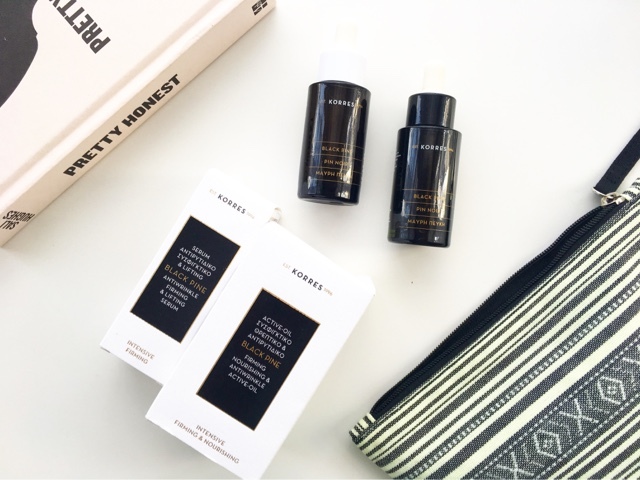 Packaged in gorgeous black vials are the Korres Black Pine Anti-Wrinkle & Firming Face Serum | £39 and Korres Black Pine Firming Nourishing & Anti-Wrinkle Active-Oil | £45. I have only tried these a couple of times so I can't comment on their effectiveness but they smell divine and were lovely to apply. They both target signs of ageing and are said to be firming with lifting action. I'm looking forward to putting these to use properly. *Contains complimentary products - all opinions are 100% honest and my own. Please see my Disclaimers for more information.